It's February and that means one thing... LOAD (layout a day). 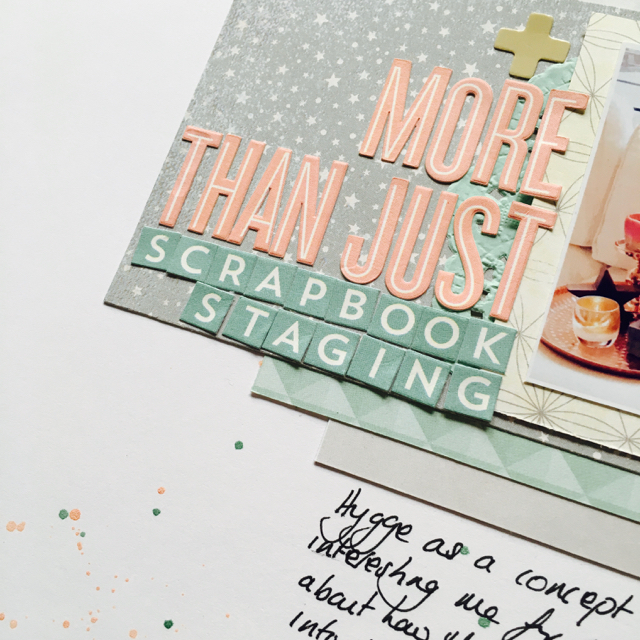 I'm not as good as I used to be but I try to use LOAD months to really get my motivation and inspiration moving on the scrapbooking front. This month is no exception and as I write this, I have 13 layouts completed and hope to be able to complete the full 28 layouts in 28 days even if I haven't managed one every day! But a side benefit of this is always the chance to catch up on some of my own challenges. So here is my "be inspired by Hygge" layout. 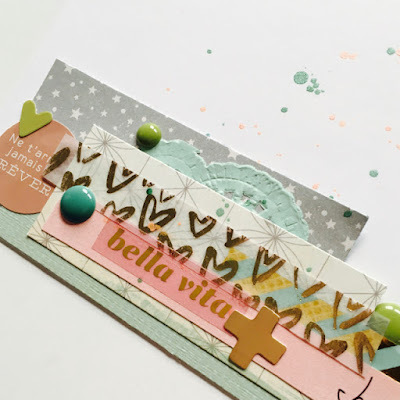 I used my Counterfeit Kit Challenge February kit, Amour which was full of the perfect soft, pastel tones and small designs which helped to convey the feeling of calm I wanted to have. At this point I was already thinking that the kit was more than "killed" and had stated that I was finished with it. But stacking up pretty strips of paper to give my photo a base - and adding in a few scraps of Crate Paper patterns too, showed me that the kit had more to offer. I used the photo I'd taken for the original challenge blog post here at Whimsical Musings (WM#275 here) to form a base for my thoughts and title. I want this to be more than just something I talk about. 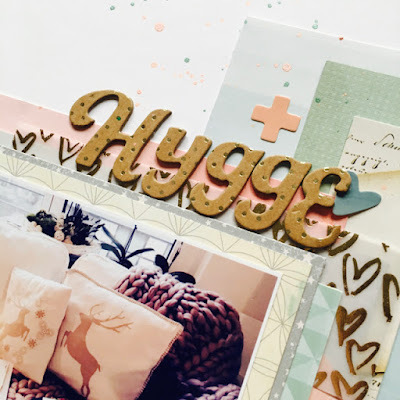 I need to feel some more "hygge" in my life. I hope this layout can inspire me to continue working on it. This was a great layout to think about and make. 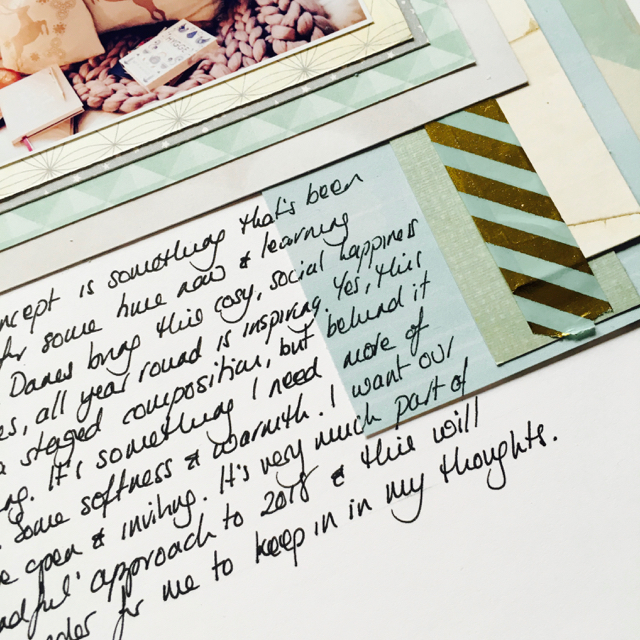 The journalling is meaningful and that combination is always my favourite type of scrapbooking.